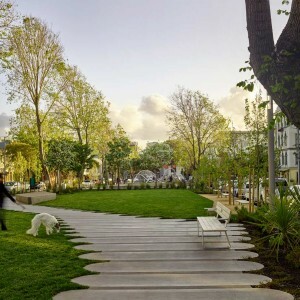 Fletcher Studio: Built in 1852 as an English picturesque strolling garden and opened to the public at the end of the 19th century, South Park is the oldest public space in San Francisco. 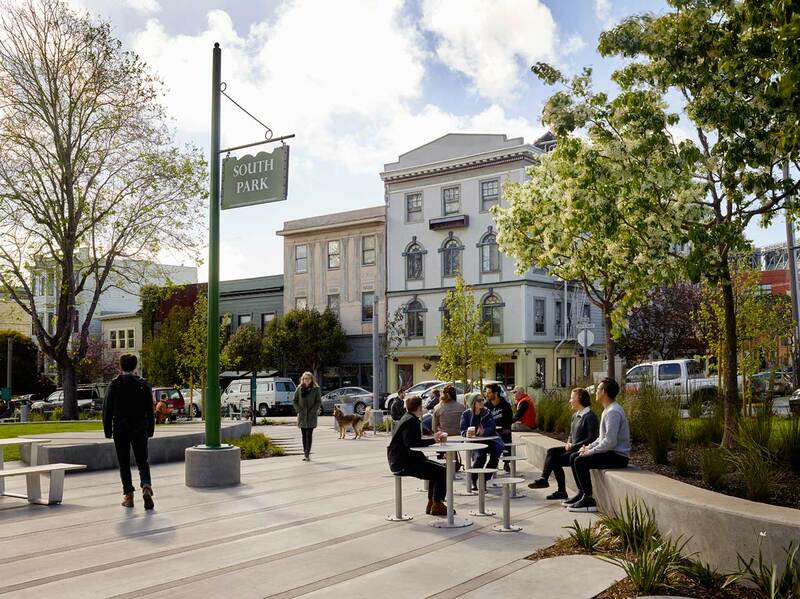 Over 165 years of evolution, South Park has served the needs of diverse populations, including immigrants, refugees, designers, artists, and young professionals. 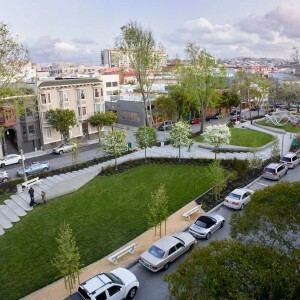 Today, the park continues to sit at the intersection of a multitude of distinct economies and cultures. 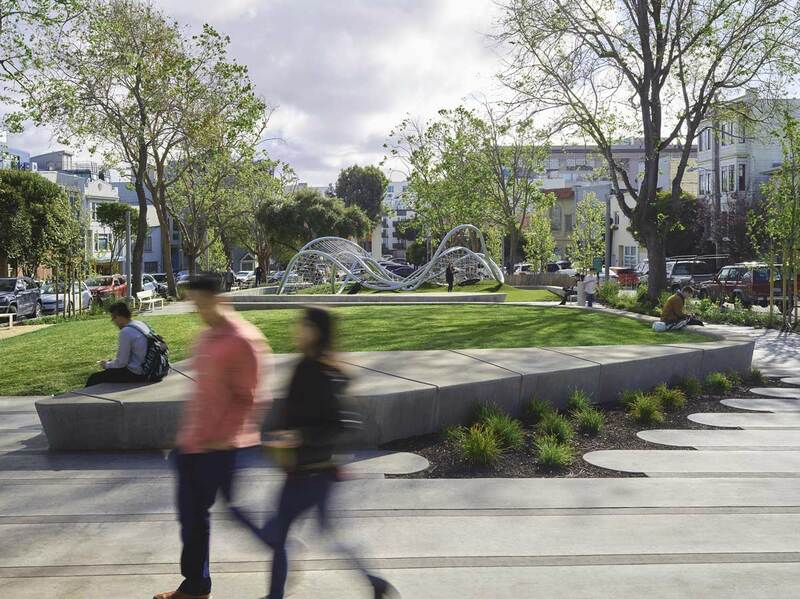 South Park is located in the heart of the SOMA District of San Francisco, the city’s hub for business and culture, containing many museums, tech and design businesses, as well as the city’s professional baseball stadium. 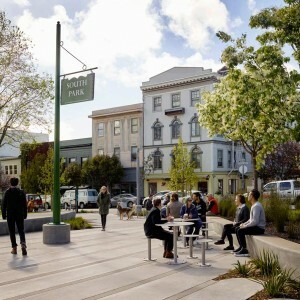 The area is also home to an economically diverse population, with residential hotels adjacent to condos and high value commercial real estate. 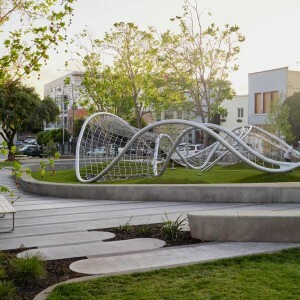 Given this diversity, the 1.2 acre park needed to provide a variety of flexible and responsive spaces to meet the unique needs of its visitors. 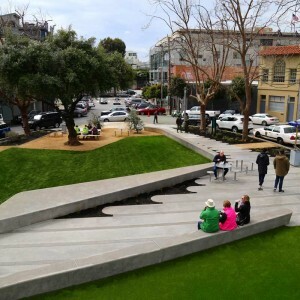 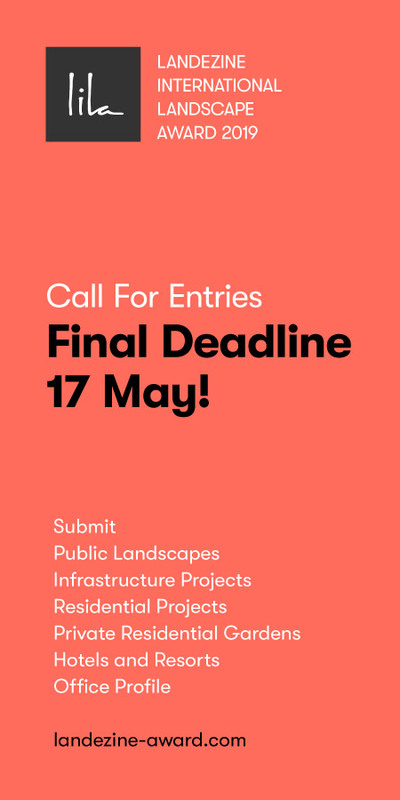 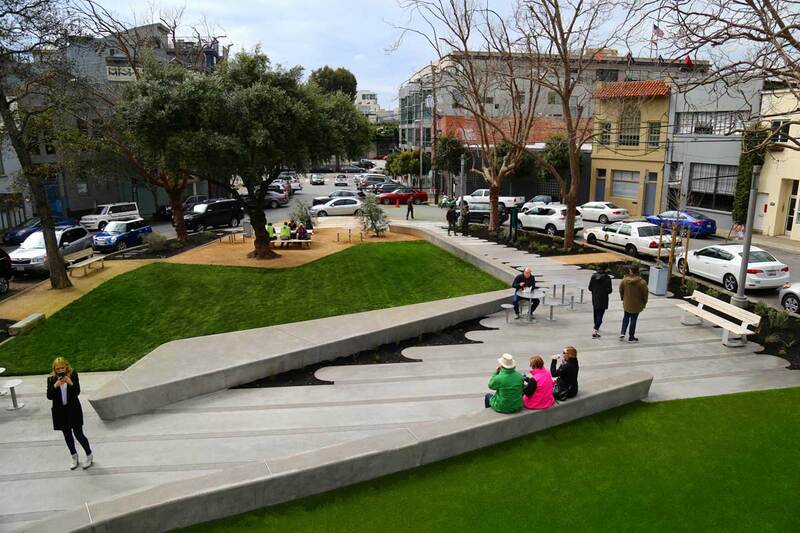 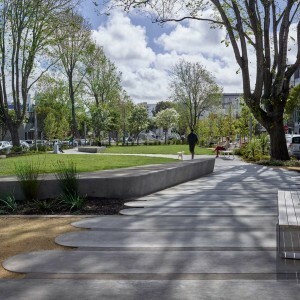 The park redesign negotiates between the need for flexible public spaces while alleviating major infrastructural and functional issues including poor drainage and lack of ADA accessibility. 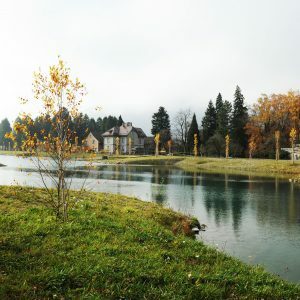 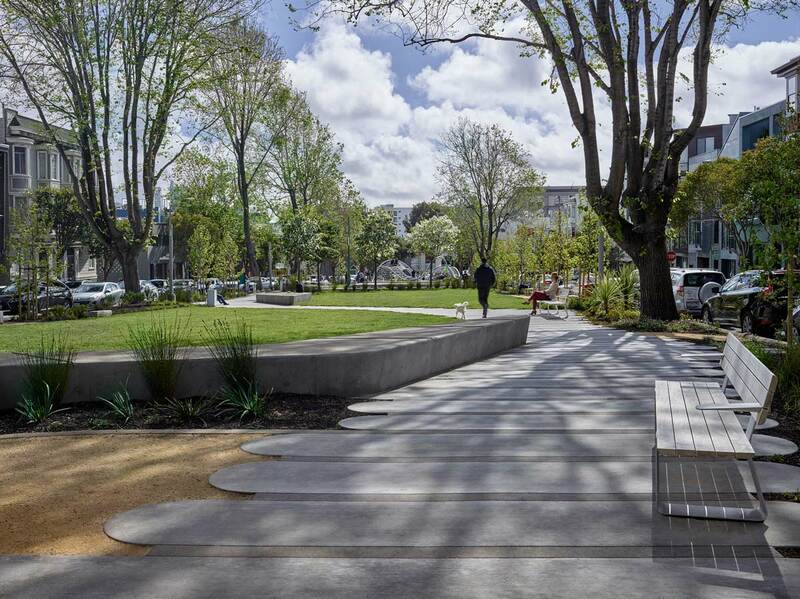 The new design of the park may be described as a contemporary interpretation of the picturesque, guiding visitors along a carefully choreographed, meandering pathway while revealing a variety of accessible amenities and flexible spaces. 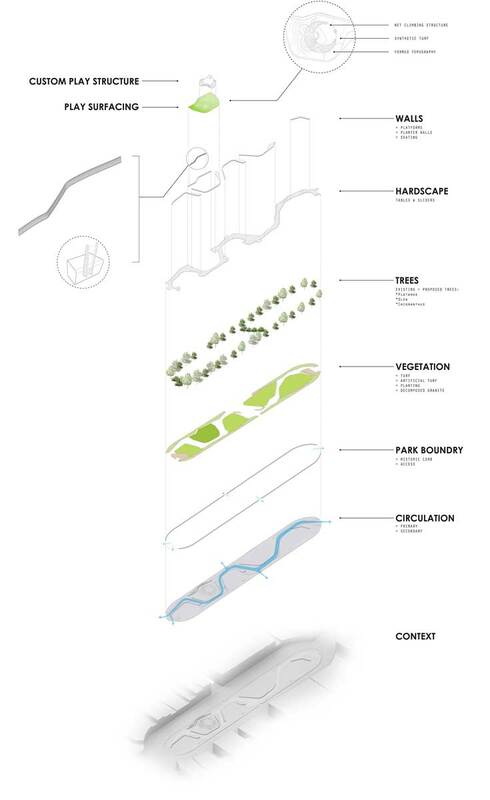 The primary determining factors of the formal design decisions were driven by a hierarchy of existing trees, structures to remain, circulation patterns, access points, social nodes and intended use. 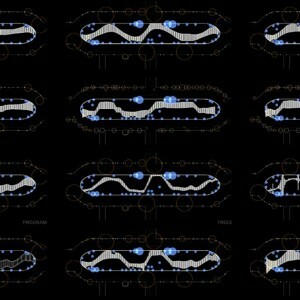 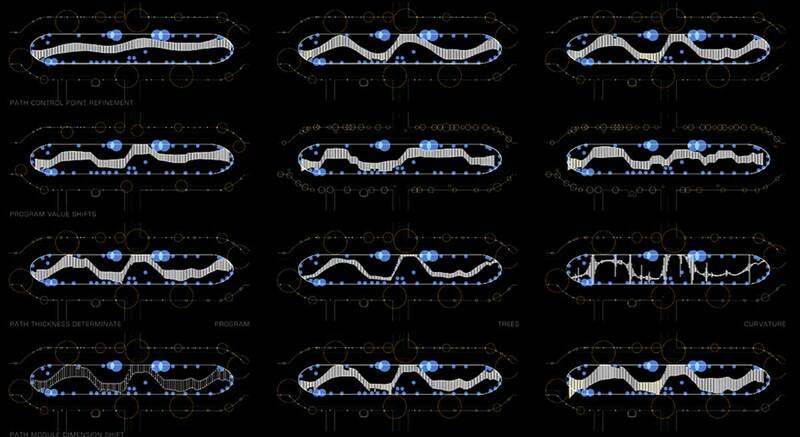 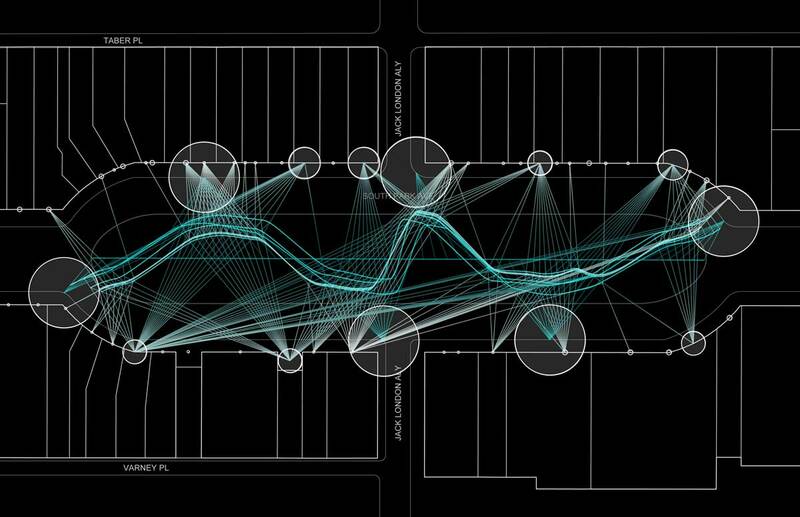 This hierarchy was mapped using Grasshopper, a parametric software, and used to generate quick design iterations connecting key attractors along a single path. 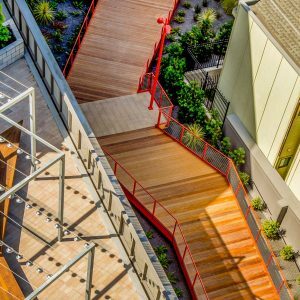 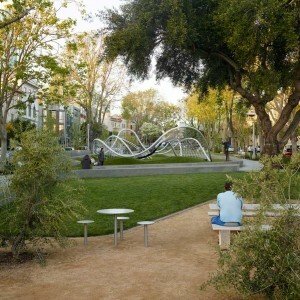 By linking these points, the design forms a consistent linear promenade connecting a variety of amenity spaces while meandering amongst colorful, drought-tolerant plantings. 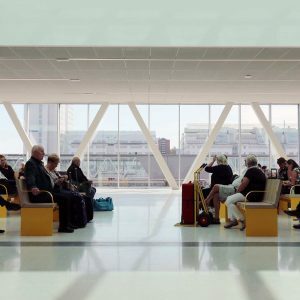 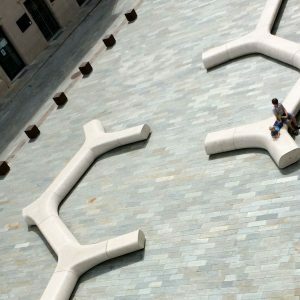 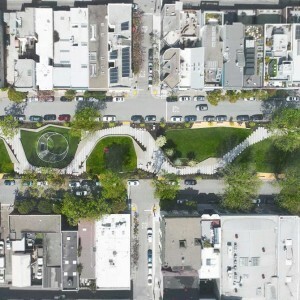 The programmatic elements arrayed along the pathway are anchored by varying scales of plazas, formed at key junctures, through the thickening and thinning of the path. 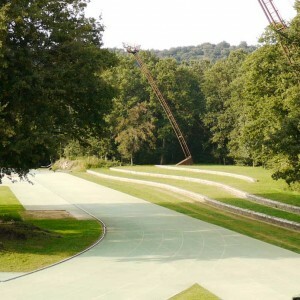 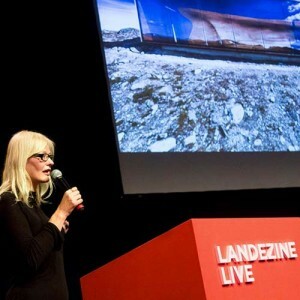 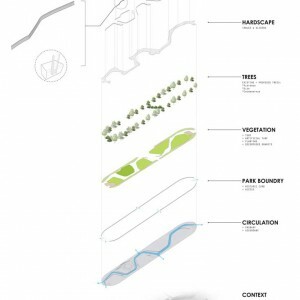 The design strategy utilized four tightly bound material systems: expandable, modular paving units; sloping meadows; vegetated infiltration basins; and low retaining walls. 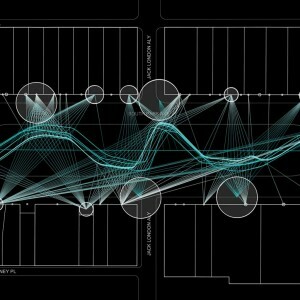 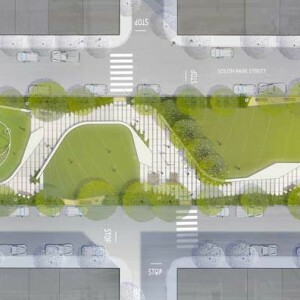 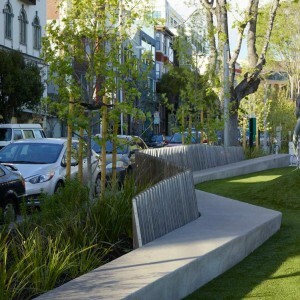 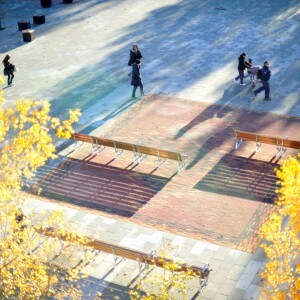 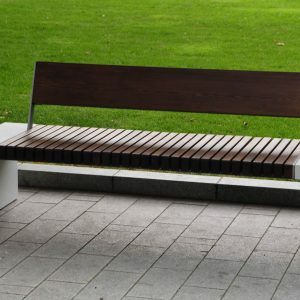 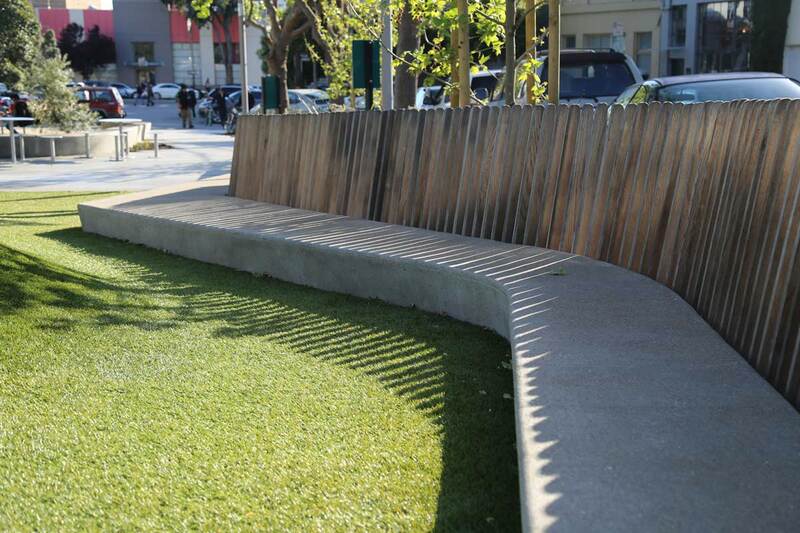 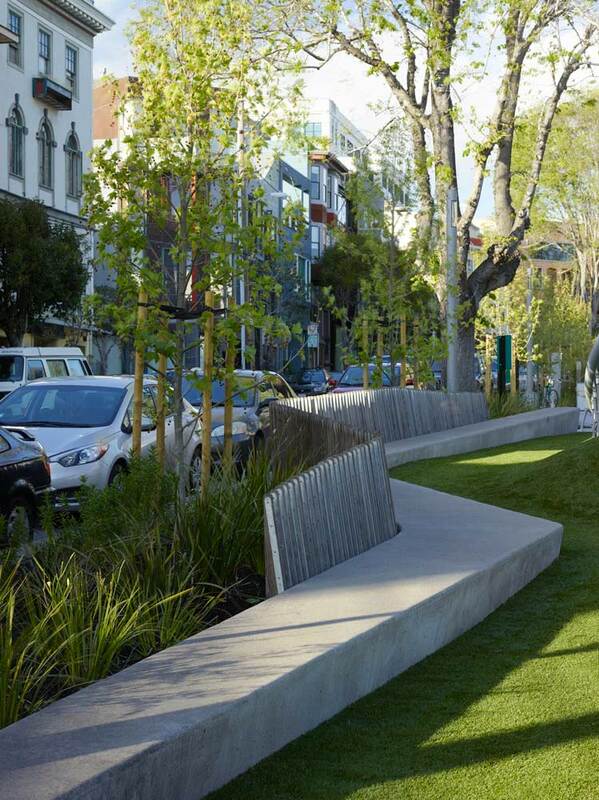 The resulting design includes a series of long walls that flow through the park, to define spaces, hold grade, and provide seating and protection from the adjacent streets. 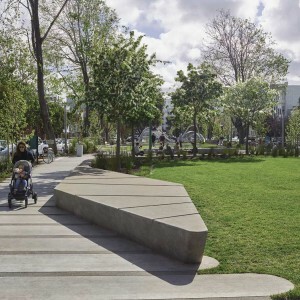 The tectonic system for the path is comprised of site-cast concrete paving constructed to look like individual “tablet” pavers with rounded edges and “slider” bands that are arrayed along the north/south axis throughout the park. 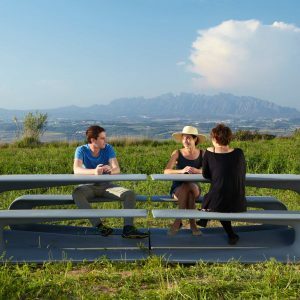 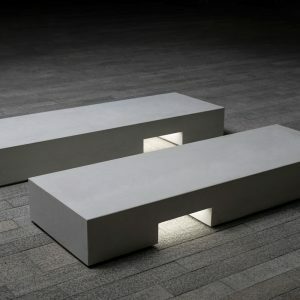 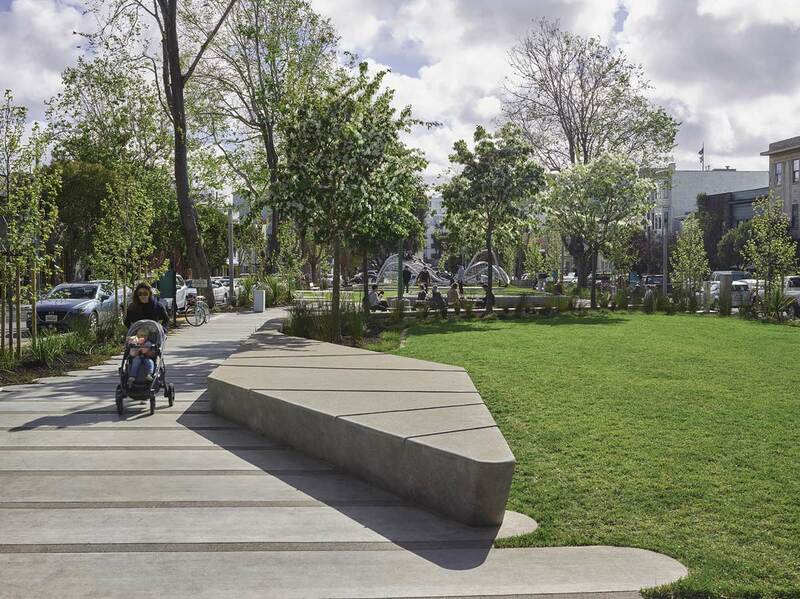 The combination of these two elements allows for a coherent modulation in the width of the path responding to contextual/external spatial desires, and fine-grain adjustment of the path edge that responds to site-specific conditions. 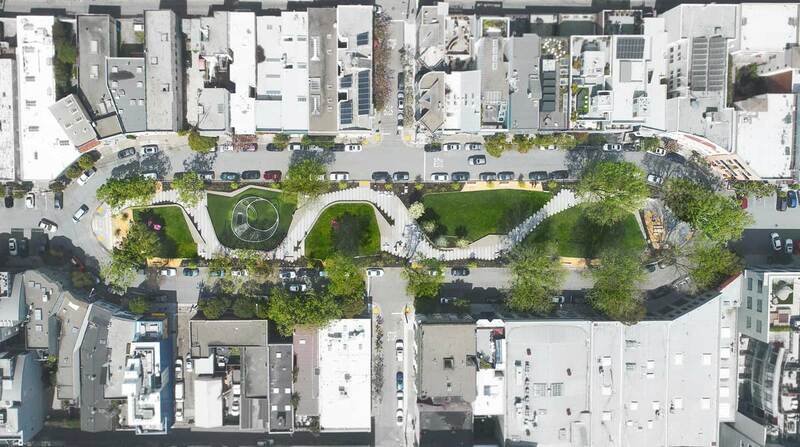 Grasshopper was used to develop a responsive 3-D working model, integrating the site data including existing utilities and topography. 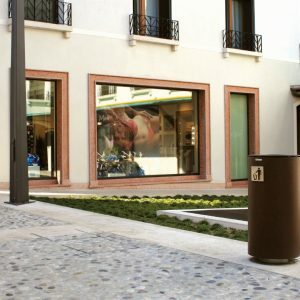 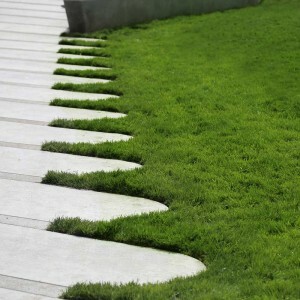 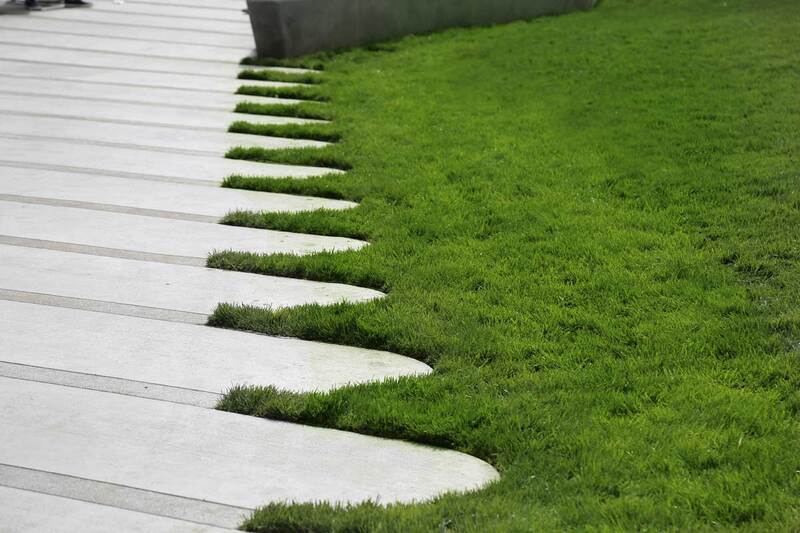 Paving tablet width, length, and distribution could be quickly adjusted by modifying inputs, allowing for site specific adjustments. 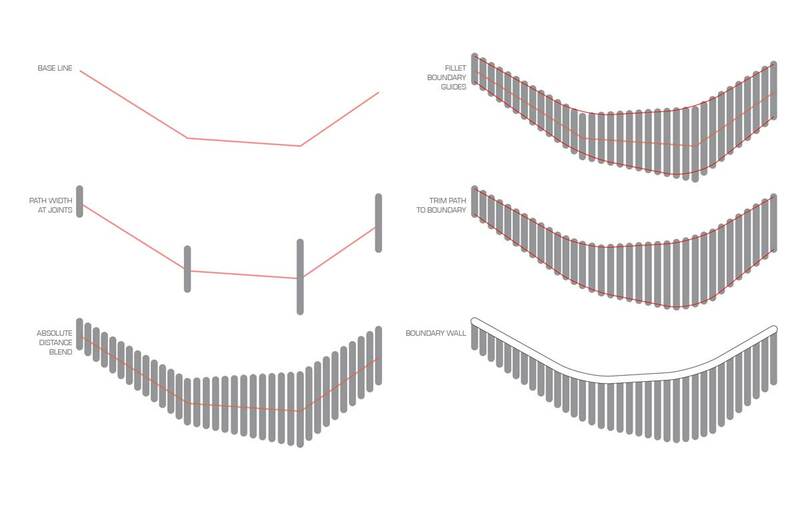 Updates to wall profiles, thickness, edge radii and even the distribution and frequency of skate deterrents were also automated, helping streamline the construction documentation process. 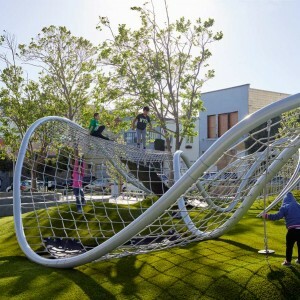 One programmatic element included a ‘universal’ play area. 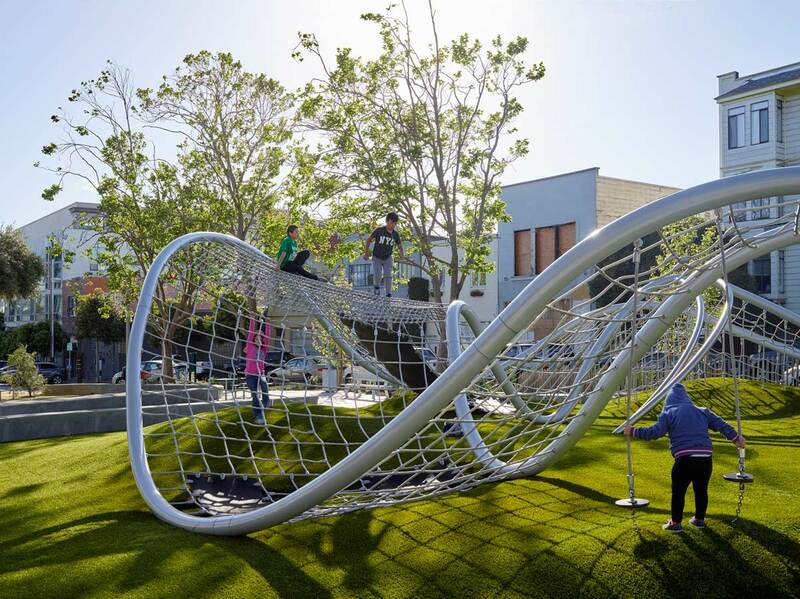 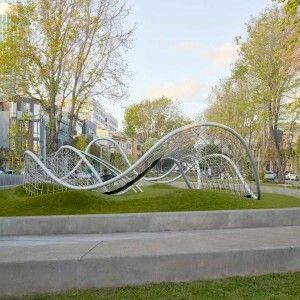 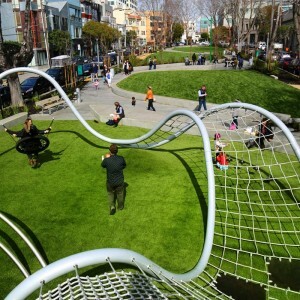 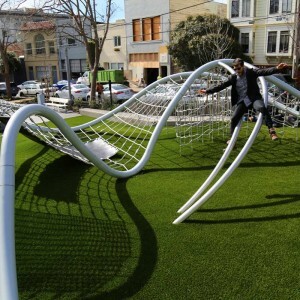 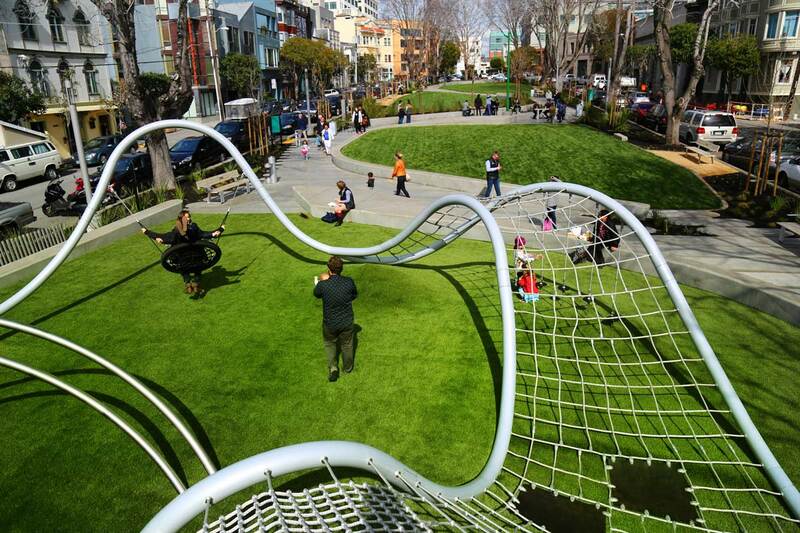 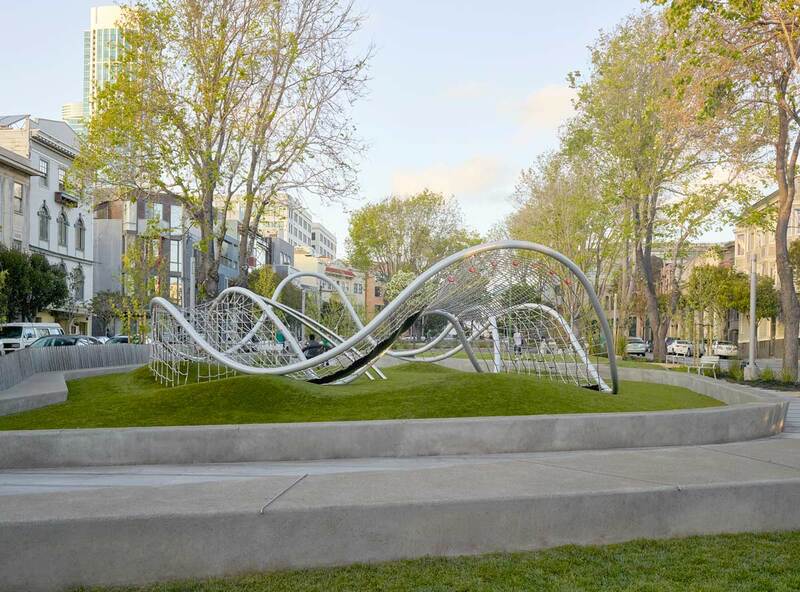 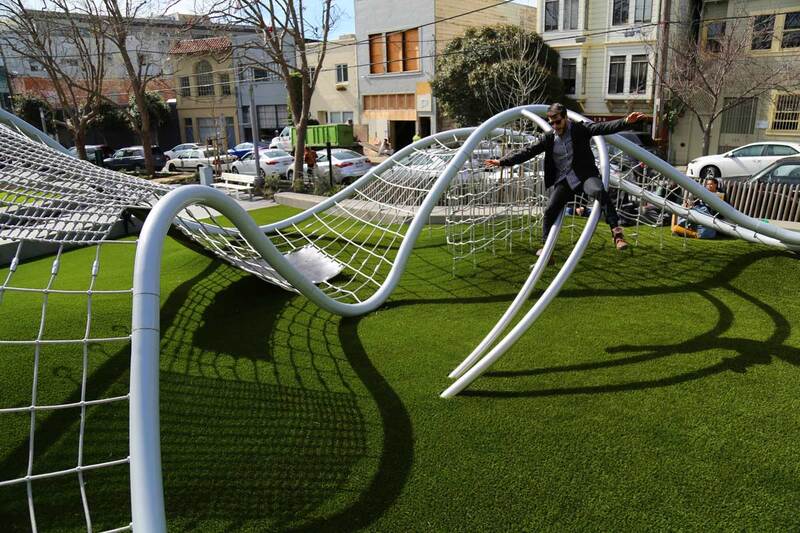 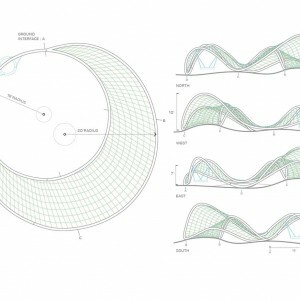 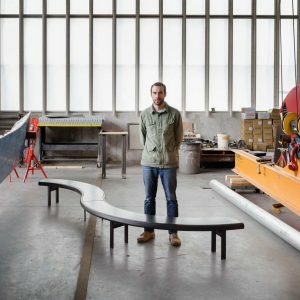 The form of the custom designed play structure was inspired by the simple image of two connecting circles and the beautiful fluidity of Nudibranch, a sea mollusk. 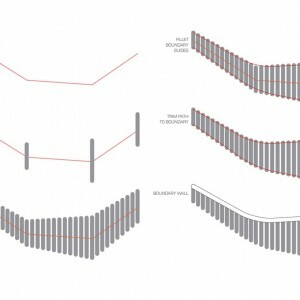 Rounded berms rise from the play surface, to meet the structure as it dips down towards the ground. 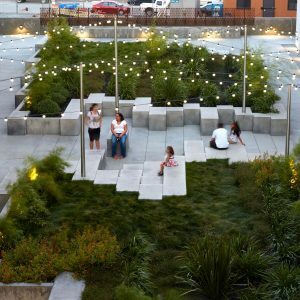 The mounds have multiple functions, providing informal play space and access to play elements, while framing an accessible path along the edge of the structure. 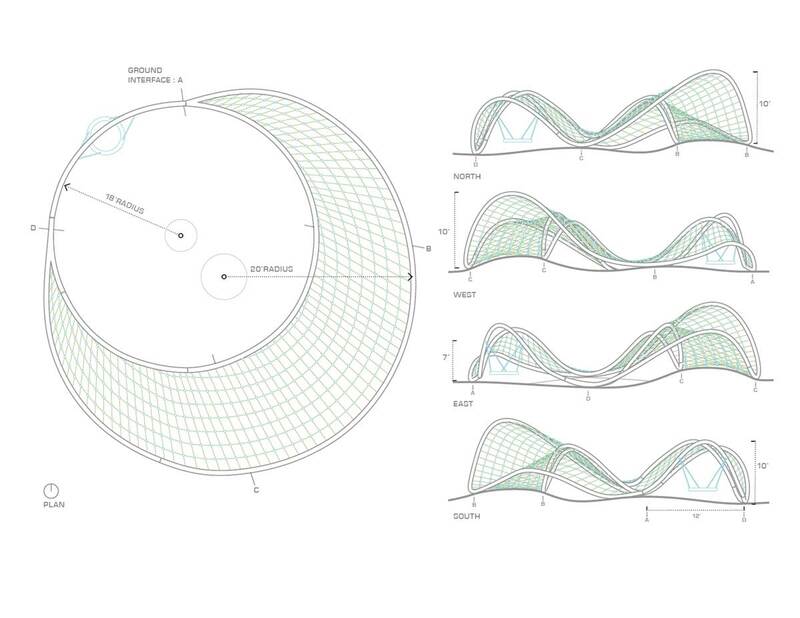 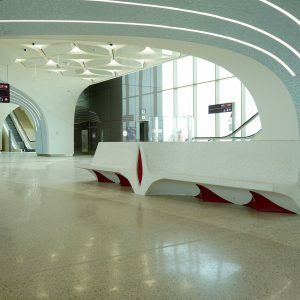 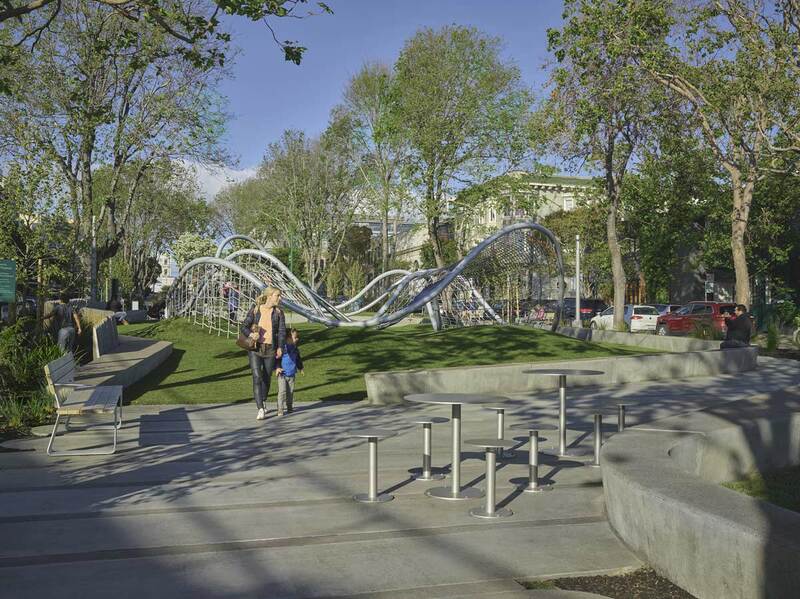 Here, parametric modelling allowed the firm to quickly generate multiple versions of the structure and topography, with Grasshopper automatically distributing netting, fittings, and play elements in response to the manipulation of the perimeter and interior tube forms. 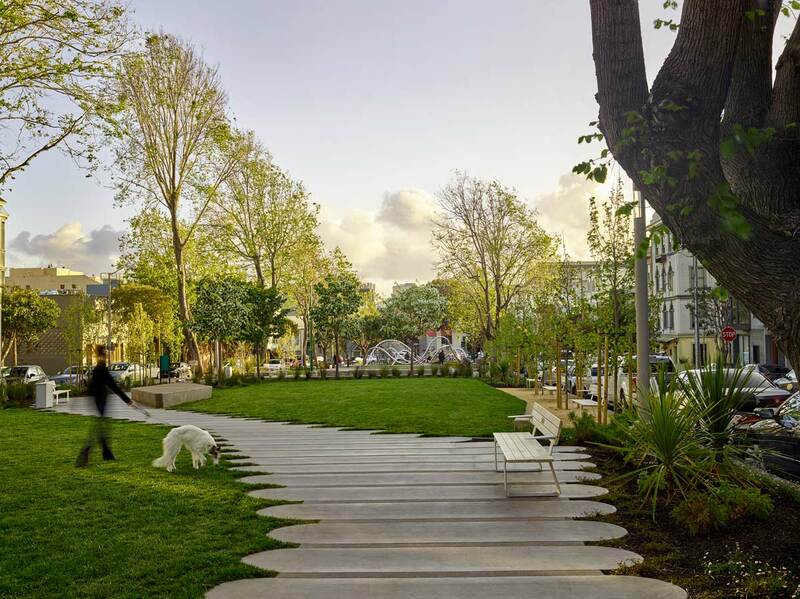 Drought tolerant plantings, performative bioinfiltration gardens, and an irrigation system that utilizes rainwater collected on-site work together to create an ecologically sustainable design. 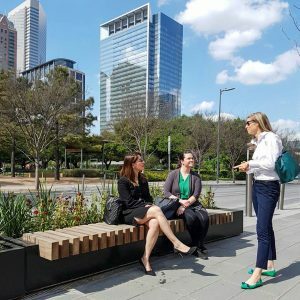 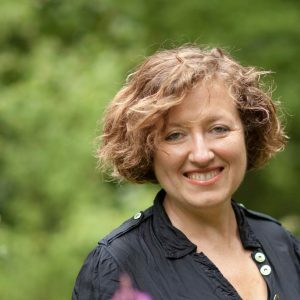 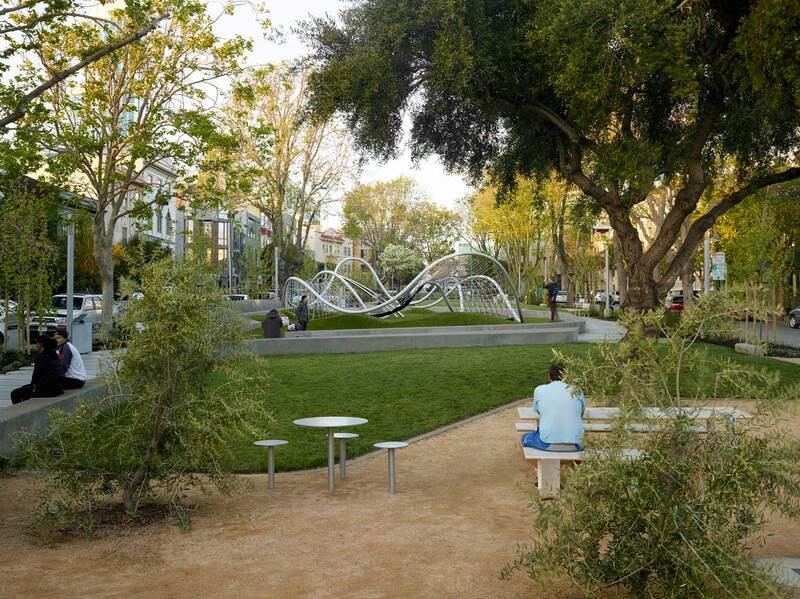 However, the park is also socially sustainable, meeting the needs of an economically diverse population, providing accessible play space for all ages, and offering diverse spaces for public use. 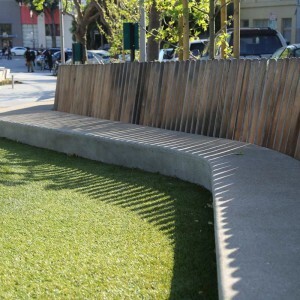 A lack of fences opens the park to all, while short concrete seat and retaining walls offer informal seating and stages for the theater of daily life. 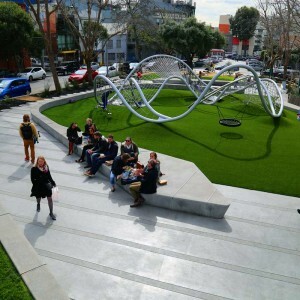 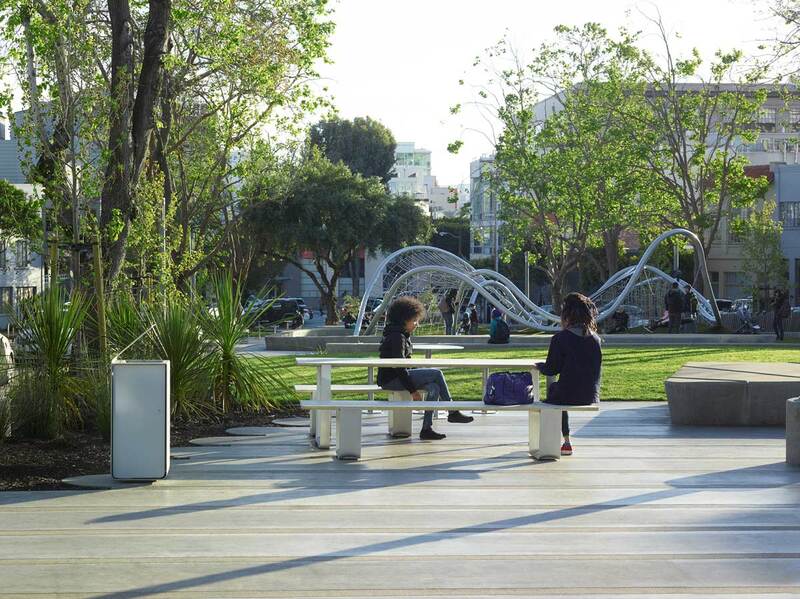 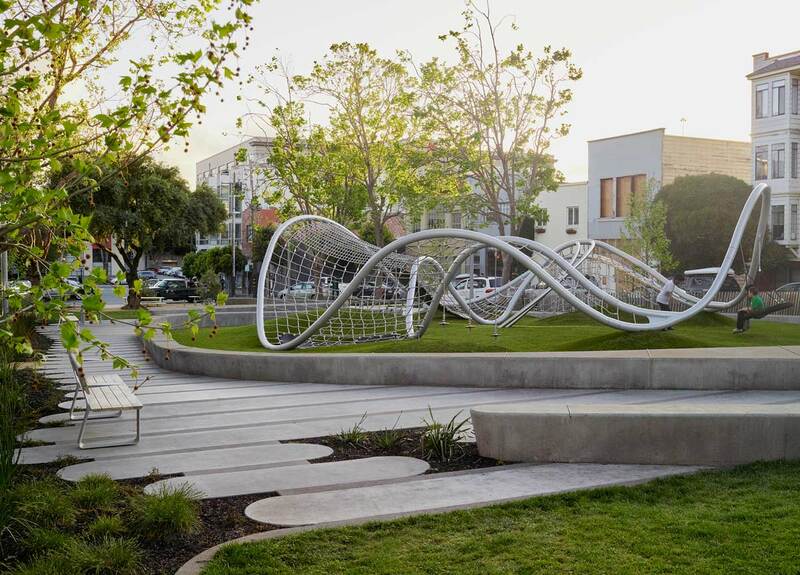 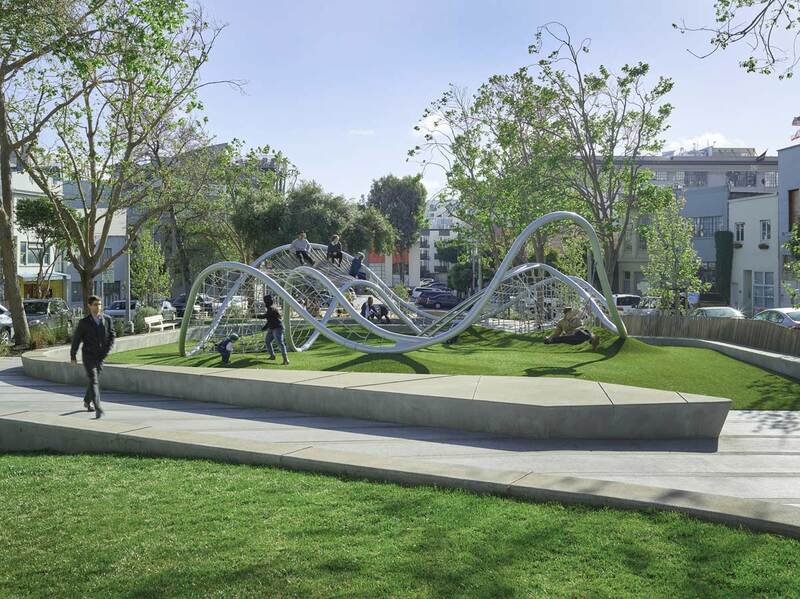 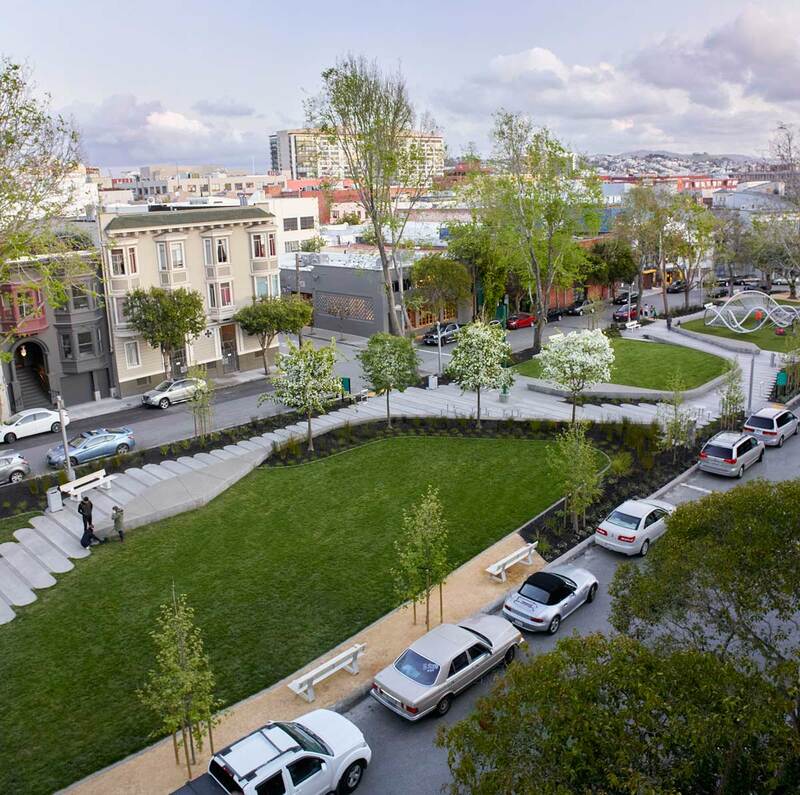 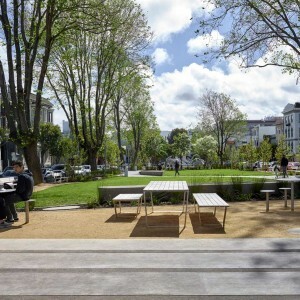 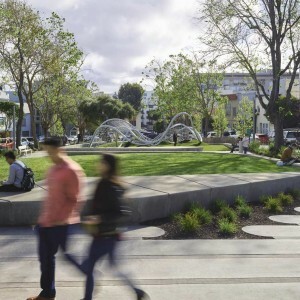 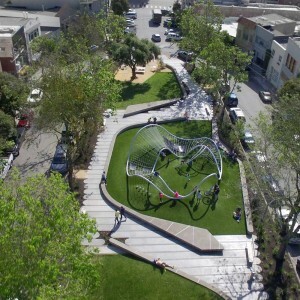 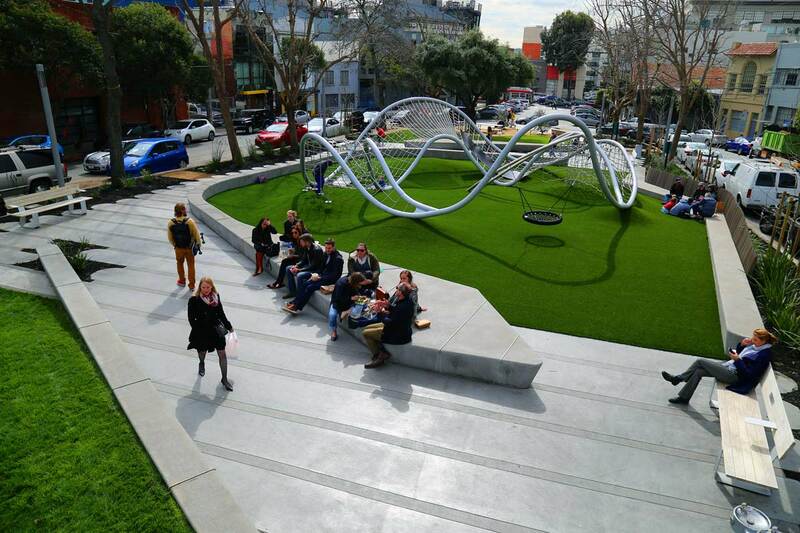 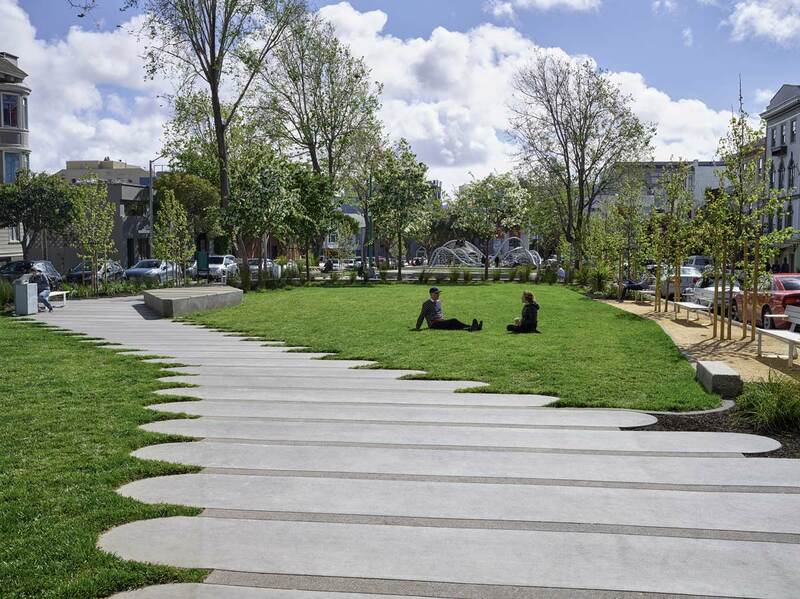 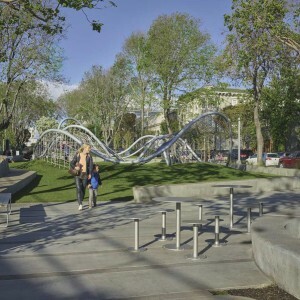 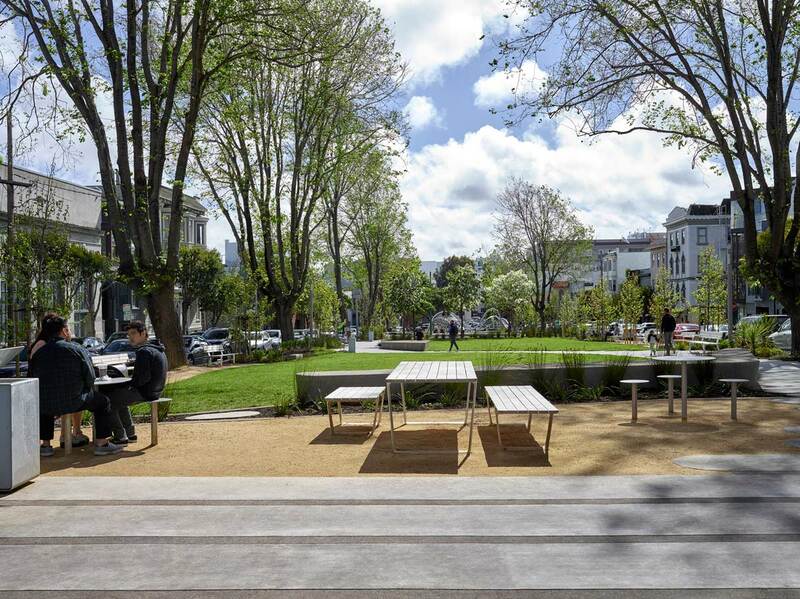 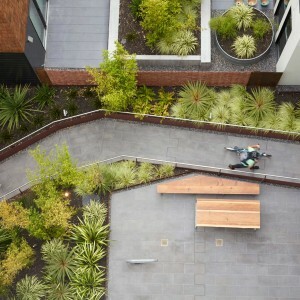 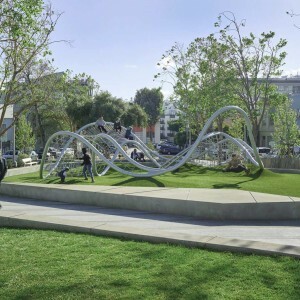 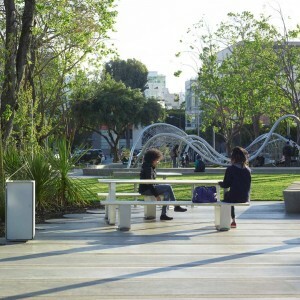 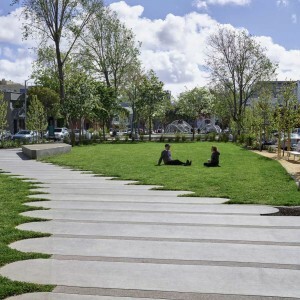 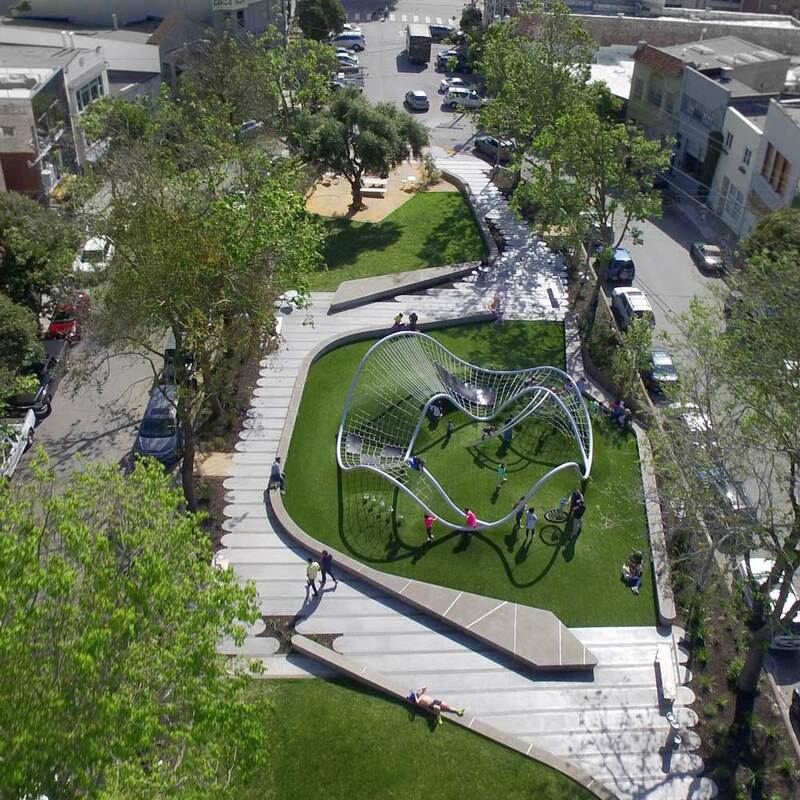 By combining historical analysis with parametric design and a contemporary aesthetic, South Park succeeds as an ecologically and socially sustainable park, setting the stage for use, connection, and delight while creating a space that is both magnetic and evolving.